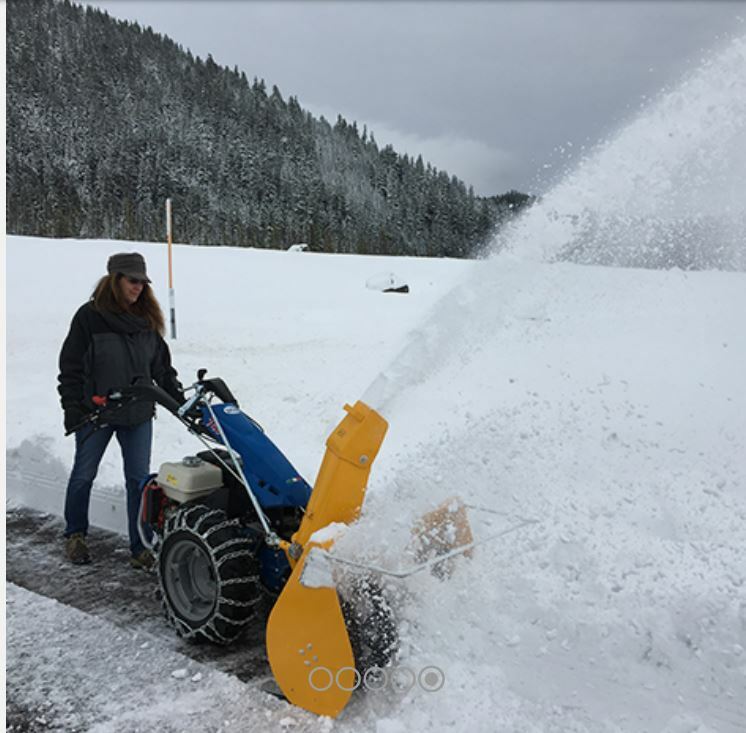 While the all-gear-driven, single-stage BCS Snow Thrower is great for virtually all snow events, the Two-Stage Snow Thrower is specifically designed to tackle “the Monster” snowfalls. It will blow away drifted snow that is feet deep with ease and dispatch. 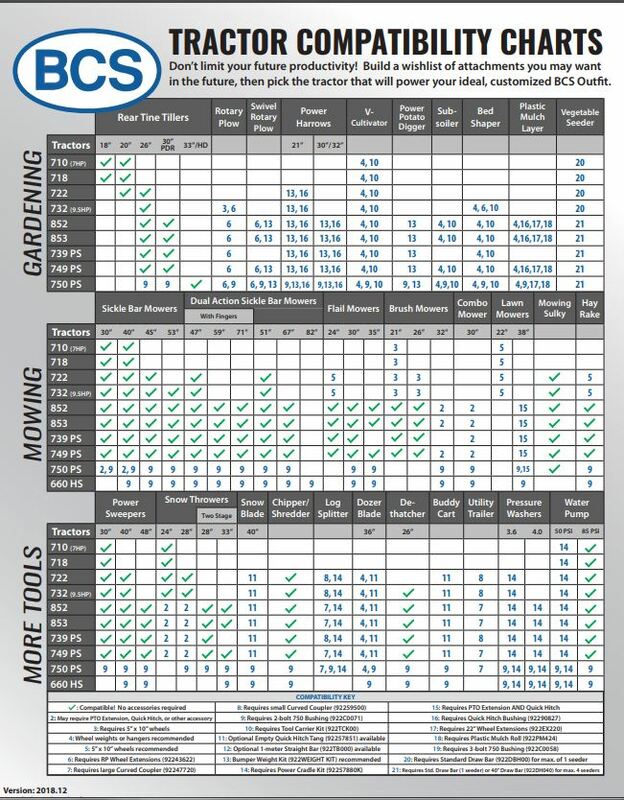 Rated discharge distances are up to 45 feet! 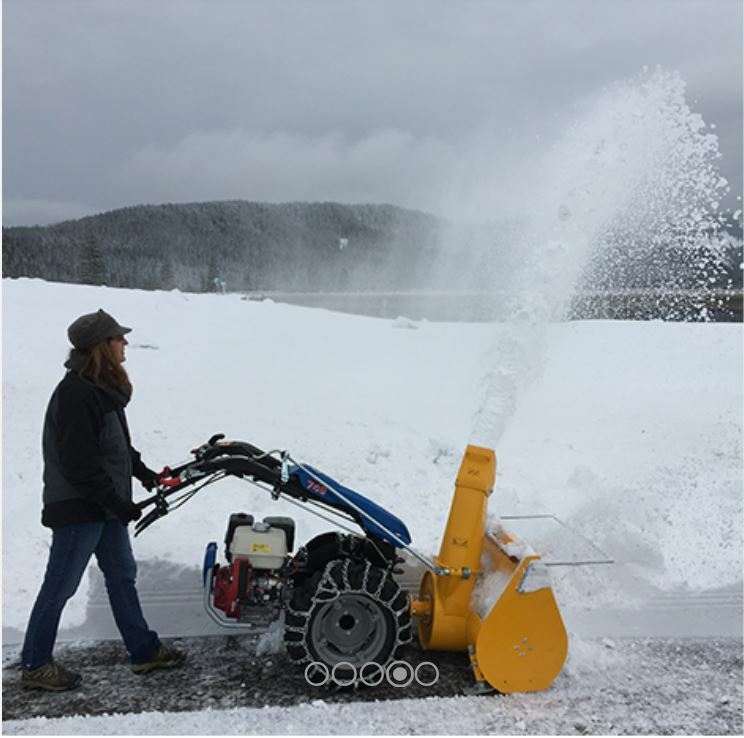 Available in 28” or 33” widths, these units feature a 3/8” steel plate blower housing and cast-iron gearbox – both designed for hard use and long life. 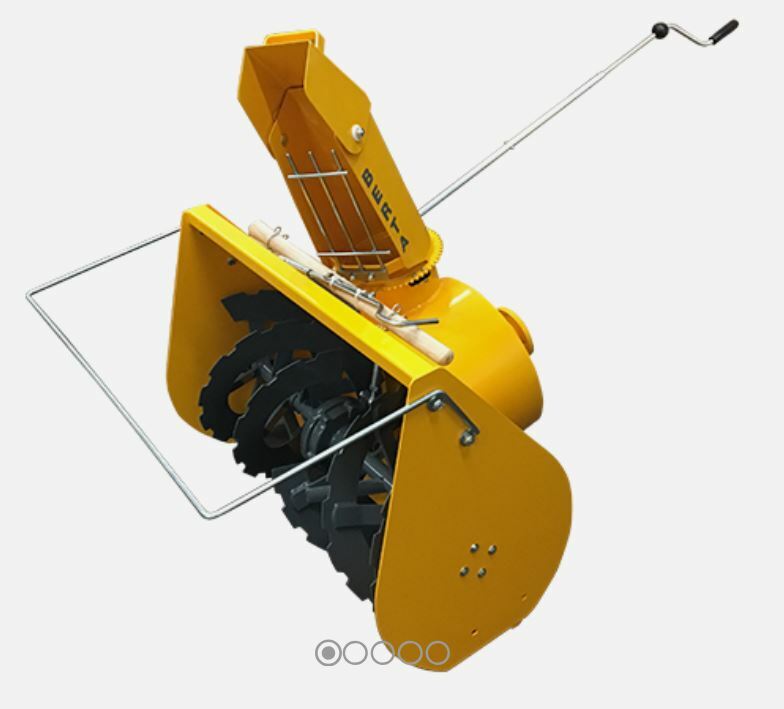 Other features include a 23” intake height, 15” diameter auger, and adjustable skids that provide height settings ranging from 0” – 2”. 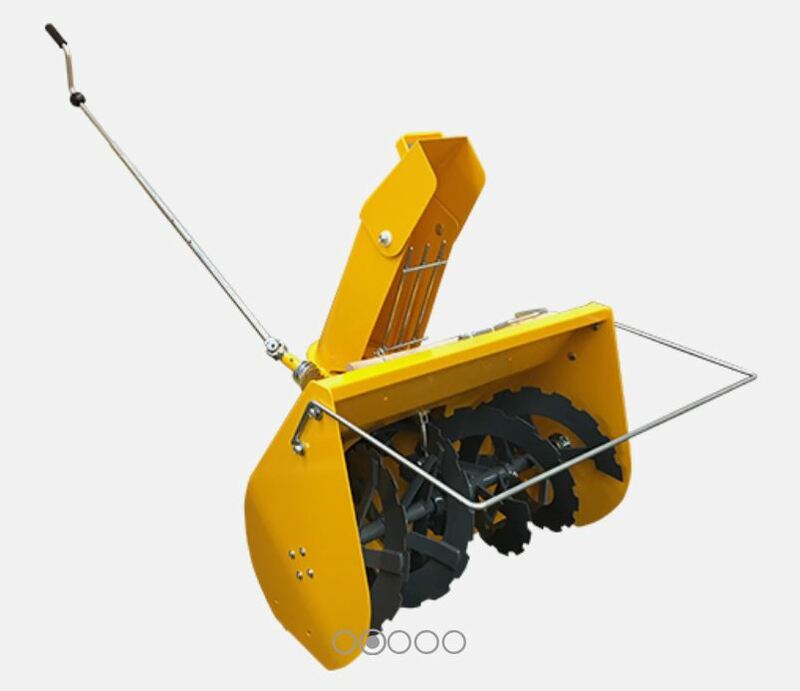 The unit also comes with adjustable rollers to use as an alternative to skids, which improves maneuverability. Shear bolts are positioned to protect both the primary augers, as well as the secondary impeller. Like the single-stage attachment, the discharge chute can be rotated horizontally up to 200 degrees. The directional control rod extends and is fastened to the tractor’s right handlebar for operator comfort. The 28” version fits models 739 and up, and the 33” version fits models 749 and up. 28” and 32” width options. 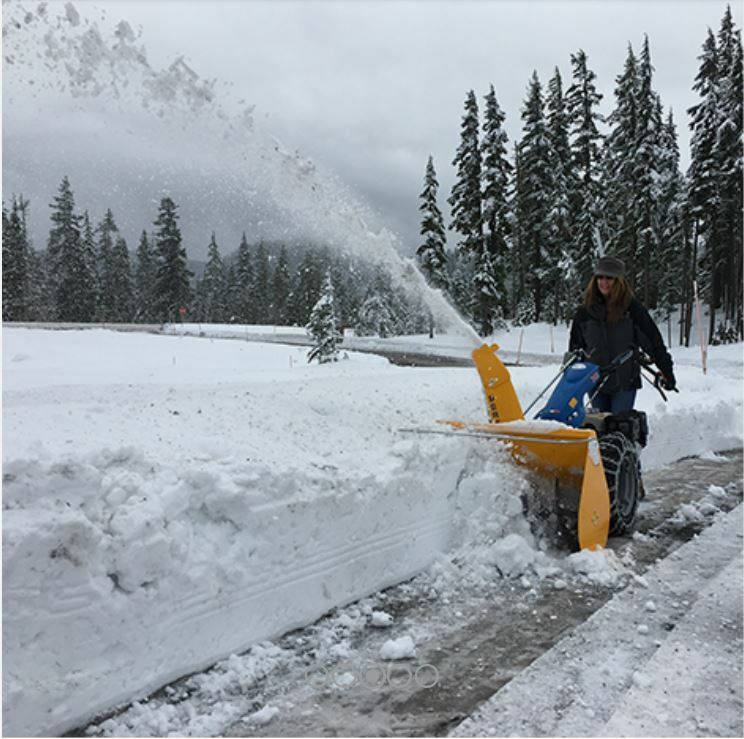 Discharges snow up to 45 feet.